We are delighted to announce that Noomi Egan has joined the team at DHR Communications in the position of Account Executive. Noomi completed an internship with DHR Communications last year, working with us on the delivery of Africa Day 2009. She has previously worked with the business-to-business charity Connect Ethiopia. She holds a BA in English Studies from Trinity College Dublin and an MA in Public Relations from Dublin Institute of Technology. She graduated from DIT at the top of her class in 2009, and was awarded the prize for ‘Best Thesis’. 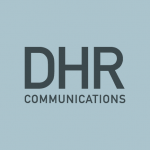 At DHR Communications, she will work on a number of key client accounts, including Comhar Sustainable Development Council, Active Retirement Ireland and the British Council.